ABLE Instruments & Controls Ltd have signed an agreement to become long standing principal Arizona Instrument’s (AZI) European Service Centre for the renowned Jerome Gold Film Hydrogen Sulphide Analyser. 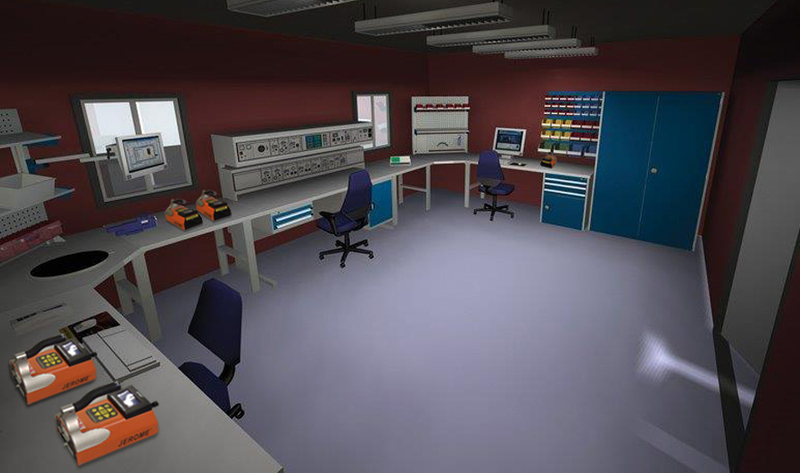 Fundamental to this arrangement is a dedicated Jerome calibration laboratory which is currently under construction at ABLE’s headquarters in Reading, UK. The ratiometric calibration system, which will mirror AZI’s own calibration laboratory in their Phoenix based factory, will derive its traceability from a certified gas reference standard and calibrated mass flow controllers. The facility will also be comprehensively equipped to offer a full repair and sensor replacement service via ABLE’s factory trained engineers. Following recent discussions, ABLE and AZI concurred that there should be a more expeditious route to calibration and repair for the large Jerome installed base throughout the UK, Scandinavia and Europe for which ABLE has distribution rights. Having worked closely together for more than 28 years, with ABLE having been AZI’s Gold Level Jerome Distributor for the last 16 of those, the former’s appointment as Jerome European Service Centre was a natural progression. Furthermore, ABLE are already fulfilling this role for AZI’s Computrac range of moisture in solids analysers. This development is testament to ABLE’s continued dedication to providing its Jerome customers with ever improving levels of service and support. It is intended that this facility be fully operational by the end of this year.